“On Liberty” (by John Stuart Mill, 1859). Mr. Mill is one of the few men who could venture in the present day to publish a treatise, little longer than an ordinary review article, on a subject of first-rate importance, with the certainty of commanding the deepest and most respectful attention from all who have the least title to be considered as serious thinkers. It is a significant, and in some respects a rather melancholy fact, that one of our ablest living writers should feel himself called upon, by the course of events, to vindicate doctrines which to so many persons appear to have long since passed from the sphere of discussion into that of action. That Englishmen at the present day should need to be reminded of truths which for the most part they look upon as established beyond the reach of controversy, is, no doubt, humiliating; and when we take into account the tone in which Mr. Mill writes, as well as the subject which he chooses, the impression is considerably deepened. Our agreement with the general tone of the book is so complete, and it coincides so entirely with the temper of mind in respect to political institutions and to customary social law which we have uniformly advocated, that we feel disposed rather to congratulate ourselves on being able to claim the sanction of so great a name for opinions which we have maintained in such various forms, and with reference to so many different subjects, than to praise the wisdom or the truth of the opinions themselves. ‘Though we do not inflict so much evil on those who think differently from us as it was formerly our custom to do, it may be that we do ourselves as much evil as ever by our treatment of them. Socrates was put to death, but the Socratic philosophy rose like the sun in heaven, and spread its illumination over the whole intellectual firmament. Christians were cast to the lions, but the Christian Church grew up a stately and spreading tree, overtopping the older and less vigorous growths, and stifling them by its shade. Our merely social intolerance kills no one, roots out no opinions, but induces, men to disguise them, or to abstain from any active effort for their diffusion. With us, heretical opinions do not perceptibly gain or even lose ground in each decade or generation. They never blaze out far and wide, but continue to smoulder in the narrow circles of thinking and studious persons, among whom they originate, without ever lighting up the general affairs of mankind with either a true or a deceptive light, . . . . . A convenient plan for having peace in the intellectual world, and keeping all things going on therein very much as they do already. But the price paid for this sort of intellectual pacification is the sacrifice of the entire moral courage of the human mind. A state of things in which a large portion of the most active and inquiring intellects find it advisable to keep the genuine principles and grounds of their convictions within their own breasts, and attempt, in what they address to the public to fit as much as they can of their own conclusions to premises which they have internally renounced, cannot send forth the open, fearless characters, and logical consistent intellects who once adorned the thinking world. Apart from the injury which is thus inflicted not only on those who hold unpopular opinions, but on those who would hold them if they gave their minds fair play, the injury inflicted upon persons who fall in with received tenets is perhaps even more important. What is never fairly doubted and fully discussed is not more than half believed. Established opinions lose their vitality, as heretical opinions lose their distinctness; and so we stumble on—“destitute of faith, and terrified at scepticism.” If the unpopular opinion is true, to silence its advocates is to stifle truth; if it is false, such conduct prevents the manifestation of its falsehood. If truth is shared, in whatever proportions, between the opinions in and out of possession, the prevention of discussion not only prevents the apportionment of their due to each, but weakens the hold of either party upon that share of truth which rightfully belongs to him. ‘Already energetic characters on any large scale are becoming merely traditional. There is now scarcely any outlet for energy in this country except business. The energy expended in that may still be regarded as considerable. What little is left from that employment is expended on some hobby which may be a useful, even a philanthropic hobby, but is always some one thing, and generally a thing of small dimensions. The greatness of England is now all collective; individually small, we only appear capable of anything great by our habit of combining, and with this our moral and religious philanthropists are perfectly contented. But it was men of another stamp than this that made England what it has been, and men of another stamp will be needed to prevent its decline. . . . .
We know of nothing in English literature since the Areopagetica more stirring, more noble, better worthy of the most profound and earnest meditation, than these two chapters of Mr. Mill's Essay. Passing from the subject of Individuality, Mr. Mill attempts to lay down the limits of the authority which society may rightfully exercise over individuals. Though no one who has studied his earlier works with that degree of attention which they demand and deserve can be surprised at the grand outburst of feeling which lights up every line of the chapters to which we have already referred, the logical power which is his special characteristic is perhaps better marked in this most difficult inquiry than in any other part of the book. Adopting a classification of moral virtues as social or self-regarding, which, if we are not mistaken, was invented by Bentham, Mr. Mill contends that breaches of the duties arising out of the former are the only proper subjects for punishment, either legal or social; and that breaches of self-regarding duties should, as such, entail no penal consequences whatever, though they may be, and often are, associated with breaches of social duties which do deservedly incur them. Mr. Mill does not contend that men ought to regard one another from a selfish point of view, as purely isolated beings. No man can cut himself off from his fellows, or ought to wish to do so. Considerations to aid the judgment of another, exhortations to strengthen his will, may be offered to him or even obtruded on him by others—nay, men may go further, and may properly regulate their feelings towards each other according to the manner in which they discharge their self-regarding duties. A man may become an object of contempt; his society may become offensive to others, and he may thus incur much social inconvenience by his faults. Men may lawfully caution their friends against his example or conversation, and they may prefer others to him in optional good offices; but these and similar inconveniences, “which are strictly inseparable from the unfavourable judgment of others, are the only ones to which a person should ever be subjected for that portion of his conduct and character which concerns his own good, but which does not affect the interests of others in their relations with him.” Duty to oneself means either prudence, or self-respect, or self-development; and for none of these per se is a man accountable to his neighbours. The illustrations given of this principle are characteristically ingenious and complete. Conscientious Mahometans have no right to prevent people from eating pork, though it may be clearly wrong and offensive in the last degree according to their consciences. Sabbatarians have no right to prevent what they call Sabbath-breaking, either by moral or legal penalties. The Maine Liquor Law is given as another instance of the transgression of this principle; and the manner in which Mormonism (of which Mr. Mill strongly disapproves) is treated, both here and in America, as another. We cannot here specify, in sufficient detail to be interesting, the various applications of the principles of the Essay which are worked out in the concluding chapter. They are as valuable and as careful as they might have been expected to be. We do not propose on the present occasion to enter upon the points on which we are obliged to differ, or to qualify our agreement, with Mr. Mill. Our points of agreement with him are so much more important and numerous that we have preferred to confine ourselves to giving our readers, as well as we could, the substance of the work. We do not think it would have been possible to convey in the same space a greater quantity of matter which is not only valuable, but absolutely vital. This treatise stands out in noble contrast to some of the most popular and most pernicious of our modern heresies. We can imagine no more effective reproof than it conveys to that complacent optimism which takes for granted, that knowledge and civilization, have a sort of inherent power of progress which is not only independent of individual efforts, but supersedes the necessity for individual greatness, as if the raiment and the meat had been definitively proved to be superior to the body and the life. Nor is it less important as a protest against that vile indifference to the truth, as compared to the fancied social importance, of a doctrine, which is creeping unperceived into the holiest places, and masquerading under the most venerable disguises, whilst it palsies all that is generous in this life, and substitutes a desperate resolution to believe in the next for any real confidence in either. It will be some consolation for the changes which have deprived the public of Mr. Mill's official services, if the leisure which he has earned so well continues to be employed so nobly. We hope on a future occasion to recur to the subject of this work, and to state some particulars in which Mr. Mill's arguments do not command our full assent. Part 2: February 19, 1859. We attempted last week to give our readers some account of the contents of Mr. Mill's Essay on Liberty. We purpose, on the present occasion, to fulfil the intention which we then expressed of stating some of the points in which we either differ from him, or are obliged to qualify our assent to his opinions. It would be impossible, in the limited space at our command, to attempt even to hint at all the interesting points for discussion suggested by this remarkable book. We will confine ourselves to two points, which are in themselves of great interest, and which will serve to show the character of the difference between Mr. Mill and ourselves. The general tone of the book is altogether melancholy. It suggests, if it does not quite express, the conviction that the writer's lot is cast in petty times, in which the people are multiplied and the joy not increased, the individual dwindles, and the world is more and more. Quoting M. de Tocqueville's remark, that the existing generation of Frenchmen resemble each other far more than the last, he observes that this is still more true of Englishmen; and he concludes by the eloquent warning, which we quoted last week, that we are in danger, notwithstanding the grandeur of European history and the professed Christianity of Europe, of becoming a second China. Mr. Mill is not likely to be charged with saying rashly that the former times were better than these; and he, if any man, is likely to consider wisely concerning this. We do not in the least deny the dangers which he points out. We think them real and pressing, nor are we prepared to suggest any cure for them; but we also think that these considerations are only a part of the truth, and that Mr. Mill's language does not do justice to the present times. We fully agree with the opinion that the free development of individual differences of character is one of the greatest of all elements of well-being. We also agree that the dumb intolerance of the present day, which acts in private spheres, and is closely allied to and strongly supported by the narrowness and pettiness which are so often associated with schemes of active philanthropy tends strongly to prevent that development. But we do not think that Mr. Mill quite perceives —he certainly does not point out—what an immense scope for the development of individual character is afforded in one direction by the very social arrangements which appear to forbid it in another; and he seems to us to be distinctly wrong in asserting that, as a matter of fact, originality of character is ceasing to exist. It is most true that the base instinct of dislike for everything that is not commonplace, which is characteristic of certain classes of society, has erected a code which executes itself with unfailing rigour, though it is altogether disconnected from any sound principles whatever. There is a standard of dress, of manner, of conversation, and of some other things which it is very difficult to transgress without incurring social penalties unpleasant enough to amount, with many persons, to a down-right prohibition; and the consequence is, that the external uniformity of all classes of society is probably greater at this moment than it ever was before, and has a constant tendency to increase. It is, however, at least equally true that this code is as narrow in its range as it is arbitrary in its decrees and rigorous in its penalties. In this age of great cities, the isolation of every single person in his own house is as complete as if he lived in the Great Desert. What hat and what coat he shall wear, how far he shall express his opinions in mixed society, and in what manner, is settled for him by an inflexible law; but what he shall read, how he shall think, how he shall educate his children, whether or not he shall have any sort of religious creed, and take part in any kind of public worship, are questions which he is left to settle—not nominally, but practically—for himself. There probably never was a time when men who have any sort of originality or independence of character had it in their power to hold the world at arm's length so cheaply. The quit-rent which they have to pay for these privileges is really not worth a thought. Thou shalt wear chimney-pot hats, thou shalt shave, thou shalt not say to stupid people things that would shock them (or, as another reading has it, thou shalt not cast thy pearls before swine)—these, and a few other observances of the same kind are the only ones which society at large either does or can enforce upon that thoughtful minority whose interests Mr. Mill has very properly so much at heart. As to the degree in which it is true that social intolerance is so powerful as to “induce men to disguise their opinions, and to abstain from any active effort for their diffusion,” every one of course must speak from his own experience. We should say that there are large classes of society in which the fact is so. The least educated part of the clergy— for with the minority it is far otherwise—and what is called the religious world, are very intolerant. They are also immensely powerful, and their influence is extending itself widely and deeply amongst the mercantile classes. But we should have thought that this was by no means true of the members of lay professions, or of that part of society which possesses independent fortunes. These classes form an audience large enough to secure a fair hearing to men who maintain social and theological views, from which many of them who read with interest the books in which they are promulgated, and associate on friendly terms with their authors, differ very widely indeed. We could mention several books of this character which have entailed no social penalties worth speaking of; but as we have no desire to trespass on private life, we will only refer to the great popularity of Mr. Buckle's History of Civilization. In many points it deviates fundamentally and irreconcileably from all the ordinary standards of orthodoxy; and we should certainly have supposed that the tone in which it is written would convey to most readers the notion that the real deviation was even greater than the apparent one. That men who hold what would be called heretical views abstain from propagating them is a fact which, if true, may be explained on a different ground from that which Mr. Mill assigns. It appears to us to be owing, to an immense extent, to the general course which philosophical and theological controversy has taken in England for some years past. Mr. Mill refers in his Essay with regret to the neglect into which the study of the art of logical controversy has fallen; but surely this is owing, in no small degree, to the fact that a great proportion of the logical battles which once raged so fiercely have been fought out, and have resulted, as such battles always must, in bringing the combatants to antagonistic assertions, the truth of which is matter not of argument, but of evidence. On the great subjects of natural theology, for example, it is surely the case that the argument between the Theist and the Atheist has gone as far as it can be carried. It is a widely-spread opinion that upon either hypothesis an account can be given of all the phenomena of existence, and that the ultimate decision must depend, not on removing misconceptions and exposing contradictions (which is all that logic can do), but on the result of a method in which history and criticism, play a very important part, though its nature and limits are ill understood. So, with regard to morals, it is impossible to carry the question between the doctrines of conscience and utility much further. All that remains to be done is to attempt to find some criterion which will decide between two systems equally symmetrical as systems, but equally ill-adapted for the regulation of conduct. No one has yet decided what is the ultimate rule to which the individual conscience must conform; or what is the ultimate sanction of the law that the greatest happiness of the greatest number is to be pursued. Assume the existence of such a rule, or of such a sanction, and the system, which is at present a mere theory, will become a living guide and authority; but the investigation of the propriety of this assumption is obviously a process in which logic plays only a secondary part. If this is a fair view of the stage at which the great standing controversies of life have at present arrived, it will follow that the absence of distinct enunciations of formal consistent doctrines, whether heterodox or orthodox, is for the present unavoidable. The method of conducting such speculations has not yet been fully investigated, nor have the necessary preparations—historical and critical—for conducting them to any satisfactory result, been completed. This view seems to us to derive force from the consideration that the silence which prevails extends to the advocates as well as to the antagonists of established opinions. Dogmatic defences of them are as rare as dogmatic attacks upon them. If the fear of consequences alone had silenced the minority, the majority might have been expected to triumph over them, but this is not the case. There is as little firing from the walls as from the trenches, but we are strangely mistaken if the Sappers and Miners are not occupied on both sides in a manner which is perhaps all the more effective because it is so quiet. To drop all metaphor, we think that all the modern investigations into natural science, into language, into mythology, into history in all its forms, political, theological, social, legal, and philosophical, have, and are felt to have, relations of the very deepest importance to all the great subjects of human inquiry, and especially to theology and morals. What result they will ultimately bring out no one can predict, but that, when the circuit is once completed, an electric shock of extraordinary power will be communicated in some direction or other, no rational man can doubt. Let any one compare the effect which geological discoveries alone have had on the interpretation of Scripture with that which has been produced by any amount of logic, and he will be in a position to estimate the results which may follow, and that at no very distant time, from inquiries of a similar character. We are for the first time beginning to understand, or at any rate to try to understand, the processes by which society grew up, the order of succession of different views of those legal and social relations which once were grouped together indiscriminately under such phrases as the social contract and the law of nature. the real character of early mythology, the sources from which it is derived, and the tendencies in the human mind which it represents —such, for example, as the state of feeling which produces such apparently monstrous creeds as Buddhism and Brahminism. We are also receiving new information every day on physiology, on the regularity or quasi-regularity which pervades large departments of human action which appear at first sight to be capricious, and on many other kindred subjects. Mere logical controversy at such a time would be out of place. It will begin again when any one possessed of adequate power of understanding and of moral and intellectual courage attempts the gigantic task of combining into one focus the scattered rays of light emitted from these various subjects, and of directing them upon the great practical questions by which human action is guided and human character formed. Mr. Mill would say that our existing state is such that there is no probability that such a person will arise amongst us. We do not venture to prophesy, but we have a higher opinion of the level at which intelligence and originality stand in the intellectual classes of this country. To deny that there may be now living amongst us some eight or ten men of the first order, of whom two or three may ultimately be actually what they are potentially, would surely be rash. That we cannot lay our fingers upon them at the present moment proves nothing at all. We can only argue as to the probable greatness of the exceptions from the stature of ordinary people. It is that stature which Mr. Mill (himself a sort of giant) rather unfairly looks down upon. He is not to be told that all the human faculties develope themselves, pari passu. What is genius in one man in a million is, in the rank and file of society, vigorous, lively talent—combined with the habit of looking at things with your own eyes, and drawing your own conclusions. Is this state of mind rare amongst us? Do ordinary Englishmen resemble each other every day more and more closely? Surely, all the standing oppositions of life may still be traced in our art, in our literature, in our politics, in our theology, even though they may not be represented by men of great genius. Surely, if any one will run over in his mind the names of ten or twelve of his more immediate friends, he will arrive at the conclusion that they differ from each other as radically as the ash, the oak, the birch, and the elm, though it may be that just at present the wind is not rubbing their branches, together as, it does occasionally. What nobler proof could any nation have given of the qualities of its commonplace members than was given by the Indian Mutiny? Hundreds of men and women thrown on their own unassisted resources to fight for their lives at a moment's notice, displayed a degree of individual resource and energy, combined with an unflinching reliance, not on each other primarily, but on themselves, which cannot be paralleled from the history of any other time or country. 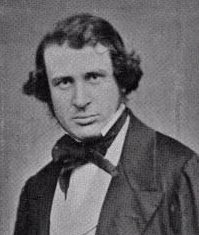 People who, at any common English dinner-table, or on the platform of some local Missionary Society, would have drawled out the dreariest of all incoherent twaddle, and have impressed Mr. Mill with the notion that they were not only on their way to an intellectual China, but had absolutely reached it, and given themselves over to spiritual pigtails, started into heroes at the approach of real danger, took its measure with the clearest and most original intelligence, and met, and generally conquered it with that desperate courage which is the great constituent element of individuality. ‘Now, is this or is it not the desirable condition of human nature? No one will accuse us of an undue partiality for Calvinism, but we think Mr. Mill misapprehends its whole scope. We will not quarrel about the word, which appears to us to be used somewhat vaguely; but we say that the belief that to obey God's will in every action of life is the highest aim of human existence, far from being a slavish one, is the noblest conception of life that any mortal creature can form. So far from crushing the faculties and susceptibilities, it is the best of all means of developing them to the highest pitch of excellence and glory of which they are capable. No one will accuse Mr. Mill of believing that the desirable position for man is that of living exactly as his inclinations prompt him from time to time, without reference to any general principle whatever. A man who lives to develope his own faculties, or to benefit his race or nation, subordinates his temporary inclinations to those ends, and raises and purifies his character by doing so. Self-control is, indeed, the highest and most distinctly human function of life, and differs as widely as possible from a slavish mechanical submission to superior force. Willing obedience enforced on oneself at all risks, and in the face of any amount of dislike, is the greatest of all agents in ennobling and developing the character, whether it is rendered to a principle or to a person; for it implies action, and action of the most unremitting and various kinds. Is a dog a worse dog for obeying a good master? Is a wife the less womanly for obeying a good husband? If not, is man less manly in obeying God? The iron does not obey the blacksmith, nor does a slave under the fear of the lash, in the proper sense of the word, obey his master. He rebels against him whilst he yields to him. What all Christians understand by obeying God's will is, entering into and adopting God's plans and purposes as the rule of life, and acting up to them in every particular. “Love is the fulfilling of the law.” Mere acquiescence and submission is quite another thing. Almost all Christians, at least in Western Europe, have always understood the plan of God respecting them, which they were thus to obey, to involve the diligent cultivation of various parts of their nature: and, in point of fact, the extreme vivacity, and individuality of much of the history of modern Europe are derived from this very obedience which appears to Mr. Mill so slavish. The Crusaders were trying to obey God when they invaded Palestine; and so were many of the Popes when they asserted, and of the feudal kings when they denied, the right of the Church to temporal supremacy. Luther, Cromwell, Queen Elizabeth, and many others, considered obedience to God as the mainspring of their lives. How far they rightly apprehended God's will is quite another question; but it is too plain for argument that obedience to God was in them an active and not a passive, a developing, and not a crushing sentiment. Indeed, the very parts of history in which great men were greatest, and in which individual energy was most highly developed, are just those periods at which the sentiment of obeying God was most powerful. Calvinism is notoriously the creed of the most vigorous and least submissive nations in the world. A theory must be strangely wrong which proves that the Scotch in the seventeenth century ought to have been a slavish pusillanimous people, with no marked characters amongst them. It is of the essence of Calvinism, as Mr. Mill uses the word, to recognise special talents and faculties as good and perfect gifts given by God to be used and honoured by the use accordingly. Surely such a belief supplies the most effective means for developing individuality. It is only when it is perverted that it can crush the mind. That human nature is corrupt— i.e., that men have a natural tendency to do wrong, or (which is the same thing) a natural incapacity to do right—is a fact which every system of morality must recognise in some form or other. That there is any element of human nature which must be radically exterminated is no part of what Mr. Mill calls the Calvinistic doctrine. We fully admit that Calvinists, as well as other people, have often entertained very wrong notions as to what God's will is, and that they have frequently depicted it in such a light as to make it almost indistinguishable from the will of the Devil. Of course, to obey such a will as that is a dreadful thing; but even in that case, the result would be to develope the character (though in a very unpleasant direction), and not to crush it. A man who tyrannizes over himself, crushes his own affections, and destroys his own sensibility because he believes it to be God's will that he should do so, has done what is very wrong and very foolish, and has experienced what may almost be called blasphemous feelings; but when all is done, he has developed himself in a certain direction. His will is strengthened and not destroyed. He has a fair chance of becoming a sort of devil, but is in very little danger of being a mere commonplace man. We have little doubt that, if it were so to effect a detailed comparison between families in which what Mr. Mill describes as “Calvinism” does and does not prevail, it would be found that, caeteris paribus, the former had a larger share of originality of character than the latter. If we are right in considering the principle of obedience to be an active and not a passive one, this might have been expected. Saturday Review, February 12 and 19, 1859.